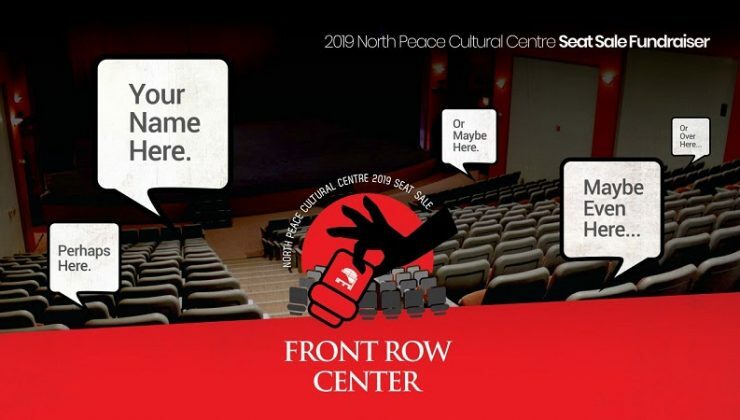 2019 North Peace Cultural Centre Front Row Center Seat Sale Fundraiser on now until June 15! Over 25 years ago, the North Peace Cultural Society sold individual seat sponsorships to help offset the construction of the Cultural Centre facility. Now, we are doing it all over again and you can be part of making it the North Peace “Comfortable” Centre. This summer the theatre will be undergoing a top to bottom refresh…new seating, carpet, paint and lighting. For $400 you can purchase a seat sponsorship with all proceeds going towards this upgrade so that we may continue to offer a premier venue for local arts groups, music, theatre, and dance plus national and international touring artists and more!